My older kids are already excited for the baby to read this one! I am sure they will be reading it to her long before she is able to turn the pages on her own. It is a heavier book, so more for a toddler than an infant. 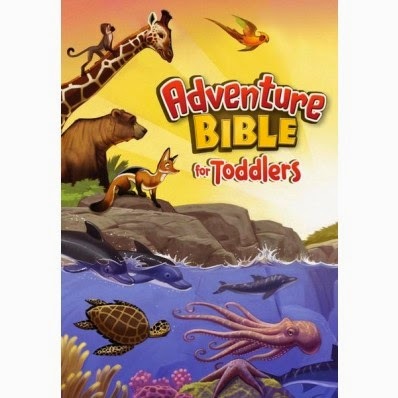 The pages are bright and colorful and the stories are a perfect start for your little one's exposure to the word of God! A great teaching tool for some of the more common Bible stories.